Over at Tor.com Natalie Zutter examines breaking out of the Maiden, Mother, Crone Bermuda Triangle! Partway through Deborah Harkness’ A Discovery of Witches, scholar-turned-witch Diana Bishop encounters a trio of familiar figures: a maiden, a mother, and a crone. These three archetypes are the aspects of the goddess Hecate, appearing as sisters. This triad has resurfaced in everything from Discworld to A Song of Ice and Fire, representing both one woman going through different phases of life and a functional coven of witches, each bringing a different perspective to the magic. The Hecate Sisters are a useful lens through which to examine the current state of witches in literature—modern takes on a timeless figure, with witches’ conflicts and wants changing with the generations. In the past few years, the young adult genre has made renewed explorations into witch stories, tapping into themes of feeling set apart from other adolescents as well as growing into your powers. It’s no surprise, then, that Blue Sargent (Maggie Stiefvater’s The Raven Boys and the entire Raven Cycle) and Nathan Byrn (Sally Green’s Half Bad) stand in for the maiden—who is also depicted as a huntress, which more matches Nathan’s place in his magical society. In A Discovery of Witches, Diana Bishop recognizes that she, with her ability to give supernatural life through her blood, represents the mother figure. 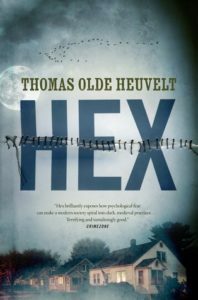 Katherine van Wyler, the ancient witch holding a town captive in Thomas Olde Heuvelt’s HEX, met her supernatural fate when her children were taken from her. 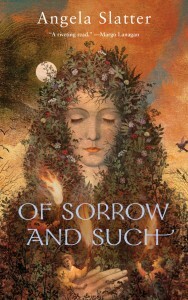 And while she doesn’t have any children, Patience Gideon is undoubtedly maternal, taking care of the locals of Edda’s Meadow with her herbal remedies—and much more powerful cures—in Angela Slatter’s Of Sorrow and Such. This entry was posted in News and tagged A Song of Ice and Fire, angela slatter, Deborah Harkness’ A Discovery of Witches, Discworld, george r r martin, Half Bad, HEX, Maggie Stiefvater’s The Raven Boys, Natalie Zutter, Of Sorrow and Such, Paul Cornell, Sally Green, Terry Prachett, Thomas Olde Heuvelt, tor.com. Bookmark the permalink.